With stock market volatility ramping up in recent months, the idea of trading options might seem intimidating. But in this environment, using options in place of stock can help you add diversity and hedge against sharp directional shocks, all while limiting capital commitment. Benzinga sat down with Todd Salamone, Senior Vice President at Schaeffer's Investment Research, to discuss his best tips for new traders, how to play high volatility, and why education is the key. Schaeffer's was a sponsor of the 2018 Benzinga Fintech Summit. Benzinga: Does market volatility affect the type of research that is provided for investors? Salamone: To my knowledge, I don’t think it has a huge impact, other than the usual calming type information brokers may put out to clients when volatility surges. As it pertains to the research that we do, which involves making options trading recommendations to retail subscribers, it may impact the types of trades that we recommend. For example, technical analysis along with sentiment and fundamental analysis form the basis for our trading ideas, which are shorter-term oriented. Therefore, in periods of rising stock market volatility, there are likely more individual equities that have experienced technical breakdowns, which will trigger more options-based trades that are designed to profit from stocks declining (e.g., put buying recommendations). And there may also be more recommendations that involve premium selling as opposed to premium buying since options become more attractively-priced for sellers of option premium after volatility rises. Describe the importance of education surrounding options trading. Education is extremely important and a trader or investor puts himself at much risk if he tries to trade options on his own without gaining an understanding of options. Options are a derivative, meaning the prices derive from an underlying asset's value, whether that be an individual stock, a commodity, an exchange-traded fund or a futures instrument. However, options do not necessarily behave entirely like the underlying asset, so it is important to understand what factors impact the price of an option over its life. There are also several strategies that one can implement -- strategies that work better in one environment versus another environment, and/or strategies that better fit the personality or the goals of the individual option trader. For example, some may use options to speculate and seek leverage, others may use options to generate additional income, while still others may use options as a hedging strategy. Gaining an understanding of how options work and how they might work best for you involves education, and “blindly” trading options without knowing the potential risks, rewards, and appropriate implementation of strategies is a sure recipe for failure. What differentiates your research from others within the industry? There are many things that differentiate our research. Moreover, we offer many option strategies, whereas some of our competitors are locked into one strategy or just a few strategies. Our options strategies include buying options to leverage directional bets over several time frames geared to the subscribers’ preference, buying double premium to leverage bets on volatility, and selling options to profit from the premium decay that occurs over an option’s life. Finally, our commentary on the markets, whether delivered to you weekly or daily, gives you an insight and analysis that you won’t see in major financial publications – it is the additional story behind the headlines. Many of our publications are free and packed with valuable information so, from that perspective, I cannot think of a better risk-reward scenario in the market. Which sentiment indicators have you been tracking most closely in recent weeks? One indicator that we have tracked closely as the market has declined is sentiment among option traders -specifically, the buy-to-open, equity-only, put/call volume ratio. This is not the typical put/call volume ratio that you may be aware of as: 1) it is equity only; and 2) it is only for options that are bought to open. The issue we have found with the standard put/call volume ratio is that some include index activity, and the volume typically includes all volume, which could be sell-to-close or sell-to-open volume -- whereas we're more interested in buy-to-open put and call volume when tracking this ratio as a sentiment indicator. There are three exchanges that offer a breakdown of the buyer-driven equity volume, so we purchase this data from each exchange, combine it, and have tracked it for years to provide historical context. 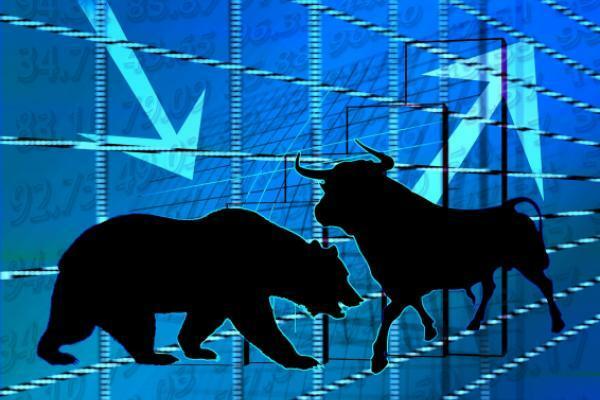 We discuss this indicator from time to time in our weekly market commentary, which is free and entitled Monday Morning Outlook. What crucial advice would you give an investor who's new to trading options in 2019? Immerse yourself in learning and continuing to learn as much as you can about various option strategies. Identify why you are using options and ensure that the strategy that you employ is in line with that objective. 2019 is an especially interesting year, given the multitude of uncertainties with respect to the Fed, China-U.S. trade talks and other geopolitical events that are yet to be resolved, such as Brexit. If you are new or considering options, remember there are three answers to the question “Why options?” if you are option buyer. They are: 1) Leverage, 2) preservation of capital via lower upfront cost relative to equity buying or shorting strategies, and 3) the ability to profit (with less risk) in both up and down markets. The risk is the premium you paid for the option, but the potential profits are a multiple of that premium. Remember this, as options can be used as your risk control, but the leverage can give you profits equivalent to owning many shares of the stock. So, in this uncertain world, you can set aside a large portion of your cash in a risk-free investment, and use options in lieu of equities to both control risk and generate respectable profits. What are your preferred option strategies to play a higher-volatility market environment? If we expect the higher-volatility market environment to persist, amid little conviction as to direction, we prefer straddle trades (simultaneous purchase of a call and put option on the same underlying stock, same strike price and expiration). In this strategy, we position our subscribers to profit from a big move in either direction. We don’t care which direction the underlying moves, but we just want the underlying to make a big move. We also prefer pair trades, in which we recommend the purchase of a call option on one stock within a sector, and a put option on another stock in that same sector. This is more of a directional strategy relative to a straddle that gives the subscriber both call and put exposure, but the subscriber can still profit from sector volatility if both stocks make a big move in the same direction. But if we expect volatility to retreat fairly quickly, we will recommend that subscribers sell option premium via credit spreads or iron condors to take advantage of unusually high option prices.